Karishma and Devyanni told bhabhi maa that they think Rose was pregnant as she had some symptoms. Karishma wished that she should have a planned pregnancy and Rose and Yash both were ready for that. Kartik thought to fix his lock before everyone came. He locked the grill by making a wish. He said that he loved Naira and threw the key and smiled. Naira came there; he asked her as for why she was following him. He asked her if she wanted to share something with him. He said that she always misunderstand him without telling him the matter. He asked her to tell her problem, and he would find the solution. She asked him about Kartik and said that she knew all the truth about him. She stated that he cheated her and everyone else and they all trusted him. She asked him as he broke their trust. She holds his collar. He was shocked. Yash was surprised when he got to know that Rose was pregnant. Naksh laughed and asked him to be ready to become a father. Kartik moved away Naira and turned. She asked him to answer her questions. He said that he did not know. He said that he was trying to find him and stated that he was not safe as a big amount went from his account to someone’s account. He said that he doubted Naman. Naira asked him to stop his nonsense. He told that he was not lying and stated that she would not have the courage to hear the truth. She asked him just to say and worry for himself and not her. He said that she would regret knowing the truth. He stated that it was ok if she did not want to believe him. Gayu asked Kartik if he saw Naira. Naira thought where Akshara went. 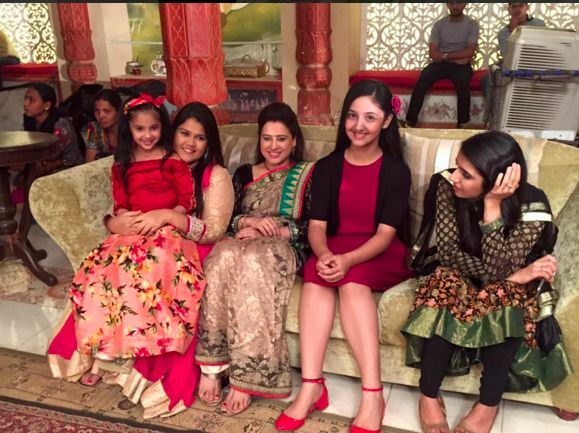 Gayu said that she did not see Naira and thought where she would go. Everyone asked Yash to tell Rose that she was pregnant. He felt shy and stated that he could not. Everyone said that he did it and now he was shy. Akshara felt that if Naman was there then Naitik was there as well and something was wrong for sure. Naira came to her and said that she wanted to talk to her. She told her everything. Akshara said to her that Kartik was right and Naman was doing something wrong. Akshara thanked Kartik and told him that she saw Naman there. He stated that he would do his best to find Naitik. Naman went to Naitik and asked him to sign the papers, but he denied.